Admit it, ever since you saw 50 First Dates, a small part of you wanted to learn how to play the ukulele. Adam Sandler just made it seem so romantic! 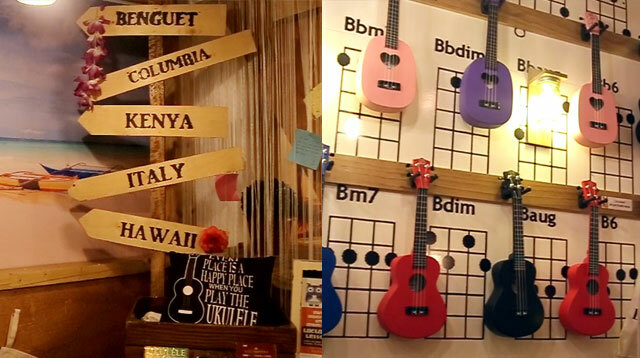 Uke Box Caffe is as close to Hawaii as we’re gonna get in Manila. The café’s vibe is chill, but it also has an educational side. They serve comfort foods like Carbonara and Hawaiian Spam Sandwich and have coffee straight from Sagada. Delish. Beginners can take up ukulele workshops on Saturdays and Sundays, and experienced artists can perform on Fridays and Saturdays from 8:00 p.m. until midnight.